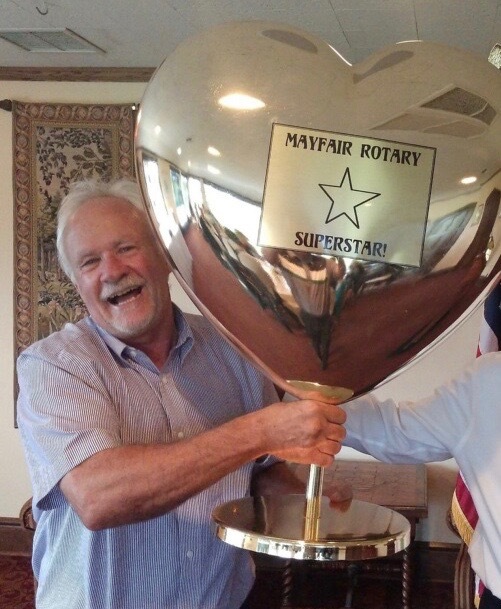 Congratulations to Rotarian Dave Glisczinski on being honored at Mayfair Rotary's 2018 Changing of the Guard dinner with the inaugural presentation of the Mayfair Rotary Superstar Award. This now prestigious award is given to one lucky Rotarian for their efforts to go above and beyond in support of the Club and its mission of "Helping Grow Tomorrow's Leaders". Thank you Dave for making 2018 a great year. You've set the bar high as YOU select next year's recipient of this Award.